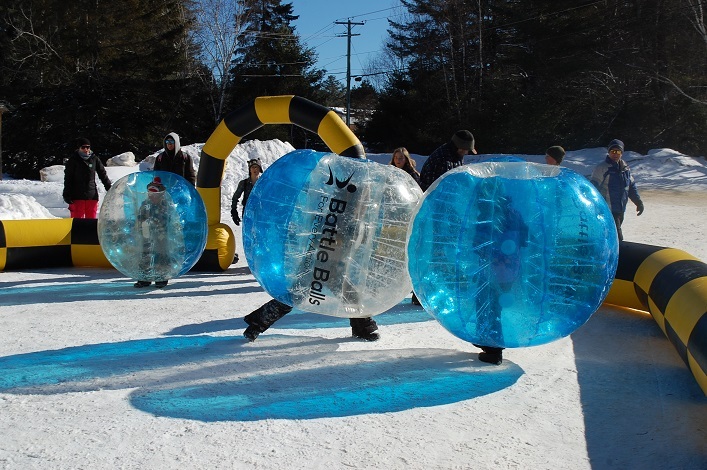 For 49 years, the Dwight Winter Carnival has been providing a fun way to break up the long stretch of winter. 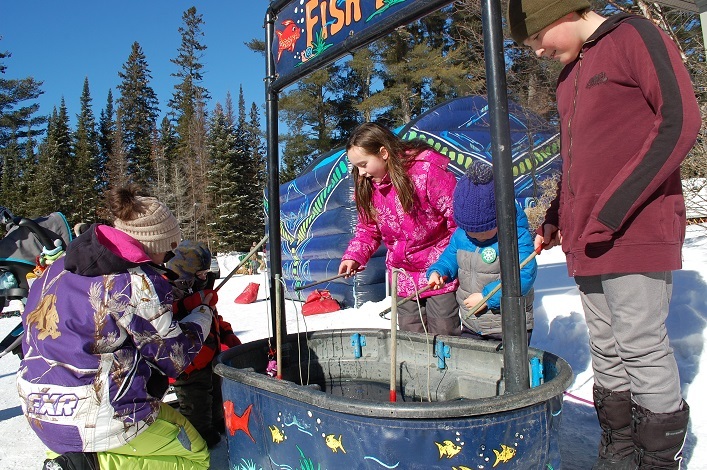 This year there were activities for all ages inside and out, from snowshoeing, fatbiking, and archery to cookie decorating and chili sampling. Kid-favourite Battle Balls—large, round inflatable suits that let them bash into their buddies without fear of injury—burned up some excess energy. 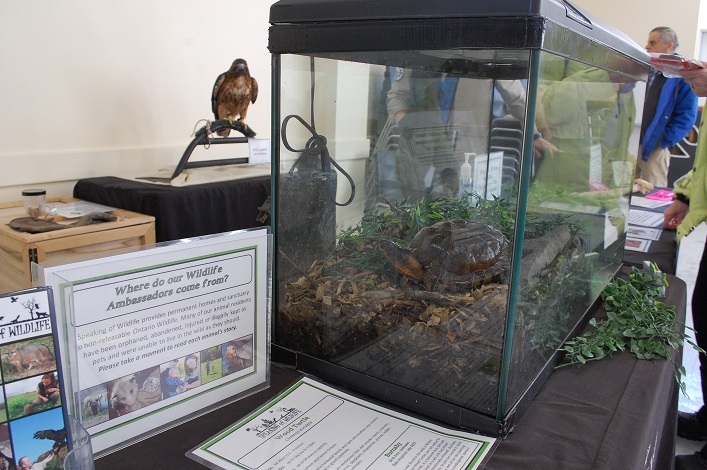 And wildlife ambassadors brought a fun but educational component to the event. 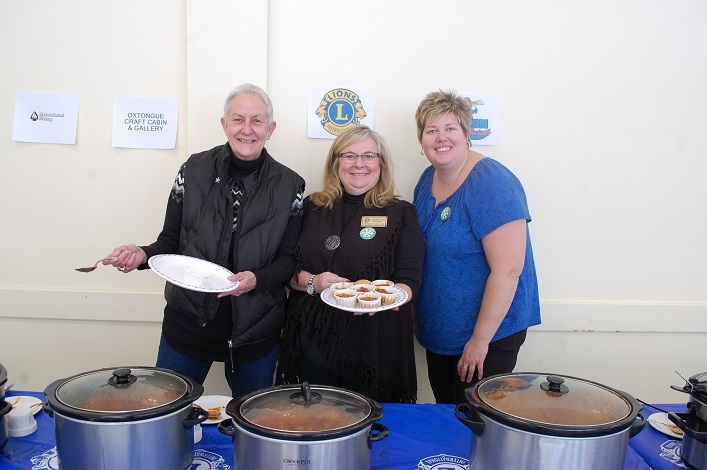 After picking up their admission buttons at the entrance to the Dwight Community Centre on Saturday, carnival-goers were met with the savoury smells of the chili cook-off, which pitted variations of the winter comfort classic—made by local restaurants Bear’s Den Restaurant, Erika’s, Family Place Restaurant, The Moose Café and Grill, Route 35, Webster’s Beacon—against one another for bragging rights. Anyone could sample all six dishes for just $5, and then cast a ballot for their favourite. It was Webster’s Beacon who earned the most votes and took home top honours. Also indoors, Speaking of Wildlife, an educational outreach organization, shared stories about Burnaby the wood turtle, who was rescued in Burnaby BC, a long way from its native Eastern Canada/U.S range; Will Scarlet the red-tailed hawk, who has been an ambassador with the program for almost all of his 19 years; and a skunk named Chanel who was born in captivity and came to Speaking of Wildlife at six months old. 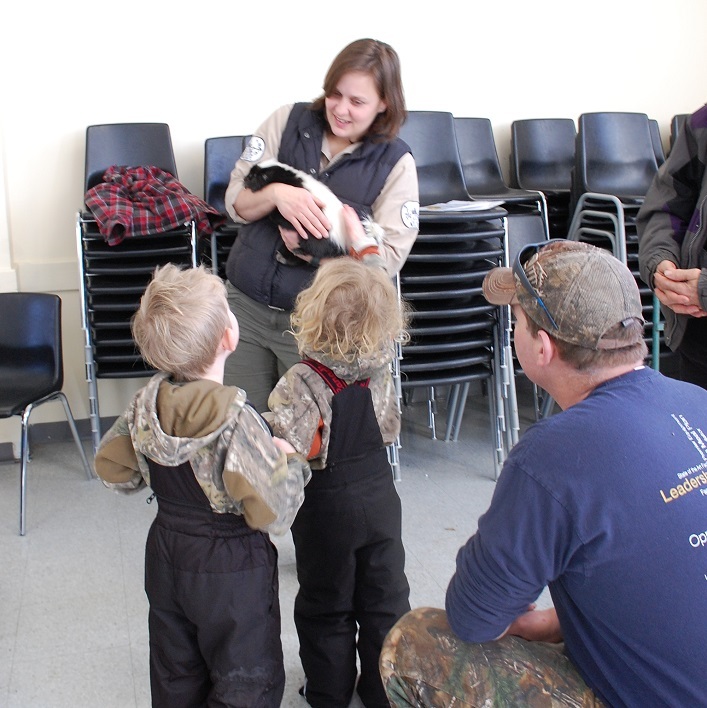 They attracted young and old alike, and provided a learning experience, too. Plus, how often do you get to stroke the back of a skunk without fear of a smelly retaliation? Outdoors, although the sleigh rides had to be cancelled because one of the horses was ill, there was still lots of fresh-air fun to be had. The archery station, complete with animal targets that included everything from a rabbit to a Sasquatch, was a popular activity. 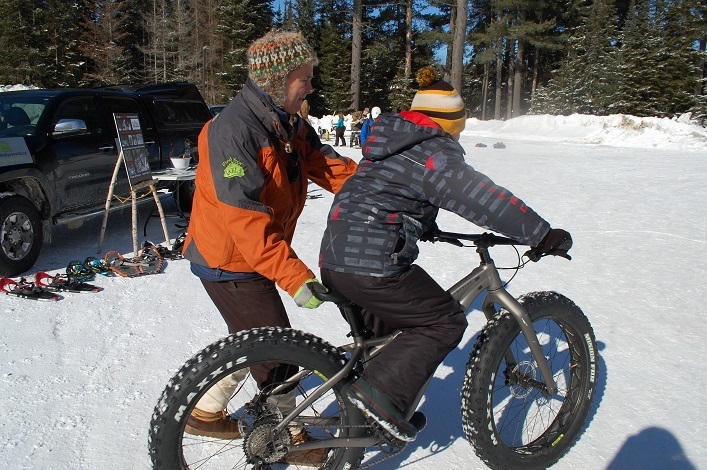 Attendees could take some snowshoes for a trek with Find Your Wild, or take a fatbike for a spin courtesy of Algonquin Outfitters. Carnival games like mini-golf, inflatables and a fishing booth rounded out the fun. 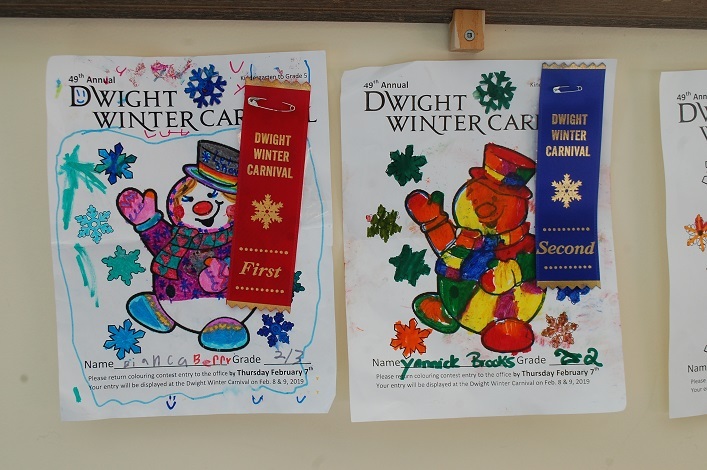 Enjoy a few photos from the event below and mark your calendars for the 50th annual Dwight Winter Carnival in February 2020! The objective of Battle Balls? Knock your buddies off their feet!